A Wellness Exam is a regularly scheduled health assessment of a pet that is apparently healthy. If your pet seems to be young and healthy, a Wellness Exam is a good way to detect changes such as weight gain or loss, dental disease, or other subtle changes that may not be evident at home. The goal of a Wellness Exam is ensuring the maintenance of your pet’s optimal health. By detecting early signs of health problems in pets, before they become entrenched, we can help them lead longer, happier lives. Your pets cannot tell you how they are feeling, and many will hide the early signs of disease (a coping strategy left over from life in the wild). This means that a health condition can become advanced before your pet shows any obvious or recognizable problems. Your veterinarian will be looking for the early warning signs of disease and may recommend screening tests to ensure that subtle changes are detected before they develop into serious issues. Wellness exams may be recommended on a monthly basis for very young pets, while for the average adult pet an annual Wellness Exam is the norm. Middle aged and senior pets may benefit from semi-annual examinations. What Does the Wellness Exam Include? A thorough medical history will be obtained. You will be asked about any changes you have noticed in your pet's behavior or health since the last exam as well as diet, supplements or OTC medications. Vital signs will be checked (weight, temperature, pulse and respirations). Your veterinarian will perform a complete physical examination (nose to tail) looking for early signs of health issues. Based on your pet's life style, medical history and physical exam, your veterinarian will make preventative care, diagnostic or treatment recommendations (including nutrition, exercise, vaccinations, supplements, medications and alternative therapies). Your veterinarian will discuss and perform any necessary blood, urine and stool testing and make any necessary parasite control recommendations. For older pets, additional wellness screening tests may be in order: your veterinarian will discuss all the screening options available. 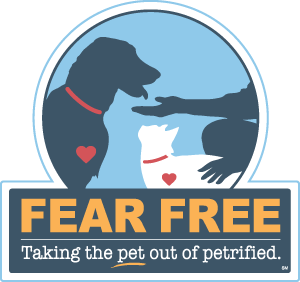 Flea & Tick preventions - CVH carries many effective options for the treatment and prevention of fleas and ticks, including both topical treatments and oral pills. Heartworm Preventions - Heartworm larva are transmitted via mosquitoes into your pet’s bloodstream, where they develop into worms that over time can cause heart and respiratory problems. Heartworms and other intestinal parasites are preventable through the use of year round preventatives available at CVH. Intestinal Parasites/Worms - Along with our annual wellness exams, CVH recommends screening a sample of your pet’s feces for parasites such as hookworms, roundworms, whipworms, tapeworms, giardia and coccidia. These parasites can often affect your pet's health before you even notice symptoms. If any parasites are detected your Dr will recommend the appropriate course of treatment. Remember: early diagnosis and treatment of disease can greatly improve the overall health and quality of life of your pet!